We offer a full range of app testing services on mobile devices. Gives you the reliable information on how the app works on different platforms and browsers. iPhone app. Gathers the information on birthdays of phone and social networks contacts in a calendar. Reminds of a birthday celebration and gives an opportunity to send your own message or template across the social network, by e-mail or in SMS in text, voice or graphic. Turns on the statistics module and offers additional opportunities when in-app purchase has been done. This app is optimized for use on mobile devices of different generations and OS versions, including iPhone 5S iOS 7. High-load web-site with an excessive update rate. Fully integrated with external services - testing of those integrations contributed towards the increase of system stability. Administrator's panel was tested together with the user interface, what was very important for this kind of project, where content is edited by moderator. The project demanded the safety testing to protect the private user data and ordering information. This system allows the company’s partners to deliver the product catalogue from the web-site Maika.by to their own web-sites. The system has some access points for users with different permissions and supports the built-in plug-in for web-shops. The project works with four payment systems. The testing process included also the check of calculations accuracy for orders, personal data and payments security. Besides the printed materials, a business customer puts out t-shirts, pillows, corporate giftware with prints and collaborates with overseas companies. Game application that allows to train 3D engineering thinking. Mobile constructor is used to collect 3D-models with diverse degrees of complexity. The models vary from the juicer to the helicopter. 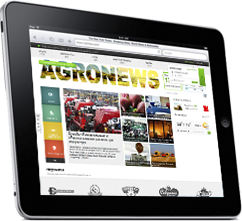 The application is available for iOS, Android, Windows Phone tablets and phones. Computers with Windows 8/RT are supported as well. A player can download simple models for free or buy more complicated instance within In-App Purchase. Top 100 ranking is always opened for the best players. System of granting loans to individuals. The percentage probability of refund for each client is calculated automatically. All changes are fixed and monitored in the system while the client is returning the debt. There is a special role of collector to control the clients, who don’t return their debt in time. 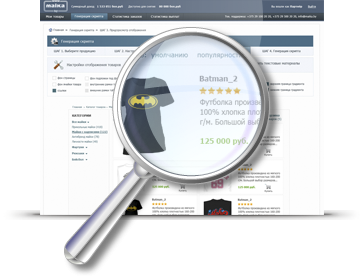 The collector can see all debtors. He is able to control the information about days of delay, the state of payments and send the documents to the court if necessary. All documents related to clients are formed automatically.8. The system administrator has all rights of the operator + additional options to control the whole system (to look through the history of system activity, to set up users, clients, holidays in the calendar, the points of realization, etc.). Learning a foreign language is a certain difficulty. 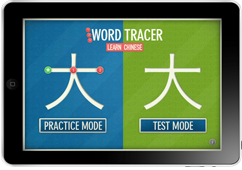 Chinese is probably one of the most difficult languages, especially written Chinese.The app has competent and clear structure, two modes: test and practice. Practice mode helps to write characters, from which Test mode begins. The functionality of this application is really impressive, moreover it awakes user interest from the very beginning: the meanings of characters and words, sound and many other things. The interface of this app has a high resolution on iPad, what makes the process of getting used to writing the characters extremely easy. © 2016 Webmart QA Software Testing Company. All Rights Reserved. We will evaluate work time and budget you need to execute a testing project on the basis of information given. Leave a message and a QA expert will contact you to answer all questions, concerning your project. 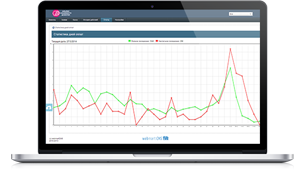 We will send you the samples of reports and test documentation to show you the format of results provided. We will test a part of your project functionality to show you the level of expertise of our QA engineers.